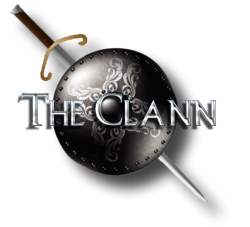 All aspects of this website including the images, design, text, graphics, the underlying source code and every other aspect, are copyright The Clann. In accessing this website you agree that the content will only be used for your own personal, non-commercial reference. No part of this website may be reproduced or transmitted in any form or by any means, electronic, mechanical, photocopying or otherwise, without prior permission of The Clann. Please contact us for rights clearance. The Clann have taken care to ensure that the information contained in this Website is accurate and up-to-date. However The Clann shall not be responsible for, and disclaims, all liability for any loss, liability, damage (whether direct, indirect or consequential), personal injury or expense of any nature whatsoever which may be suffered by you or any third party (including your company), as a result of, or which may be attributable, directly or indirectly, to your access and use of the website or any information or inaccuracies within the website.